Don’t forget to join us for the “Scream Team Lunch” tomorrow, Friday, November 6 from 11:30-1:30pm. 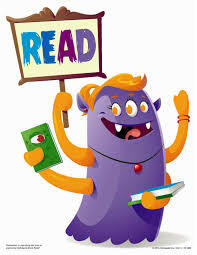 Be your student’s Scream Team and join them for lunch in the cafeteria and browse around at the book fair. A Scream Team can be family, friends, neighbors or anyone who supports your student. It’ll be a SCREAM!